Selenite is a high frequency crystal which elevates its bearer. It fosters communication with high vibrational beings, i.e angels, spirit guides, elevated ancestors, etc. 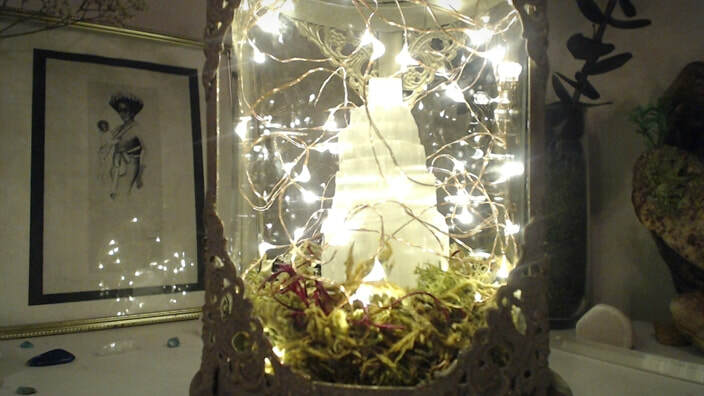 Keywords: white light of protection; higher guidance; energetic cleansing; psychic development; clairaudience. This crystal is named after Selene, the Greek Goddess of the moon. Today, Thursday October 5th, brings us a special "Harvest Moon." This is the Full Moon closest to the autumn equinox. It reveals the truth, bringing to bear what has been planted. Every full moon is an opportunity for us to manifest our heart's desires. Being a mystic means that, on the path, we follow our own inner guidance, trusting our intuition above all else. 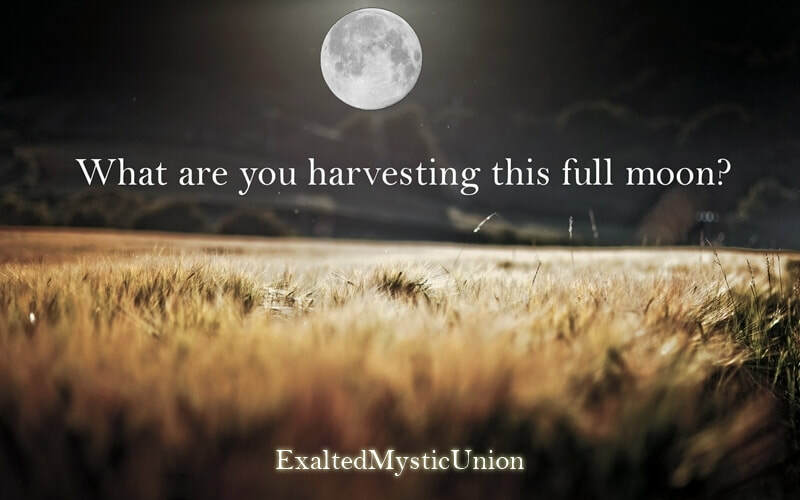 What are you feeling at this time, as the moon grows into fullness? Personally I feel charged and also a sense of completion. It feels like: "Okay, you've done it... now reap the harvest." As mystic women, we put a lot of energy into maintaining others-- our families, our work... the world. Moon cycles are a way for us to regularly take time to give attention to our own aims. What is it you want to manifest in your life right now? Health and well being? Maybe you desire more wealth. Or perhaps you wish to manifest more tangible mystic experiences. Whatever it is you're dreaming up, now is a great time to bring it forth. ​Speak it from your mouth, draw it on paper, write it in your journal. As women, giving birth is our power... whether we have children or not. We create. Use the power of the Full Moon to strengthen your intentions and watch them unfold. You may decide to develop a monthly pattern of building up momentum toward the Full Moon and then cleansing away what doesn't serve you toward the New Moon. Cleanse your space. Light a white candle and incense of your choosing. If at night, position yourself where you can see the moon. 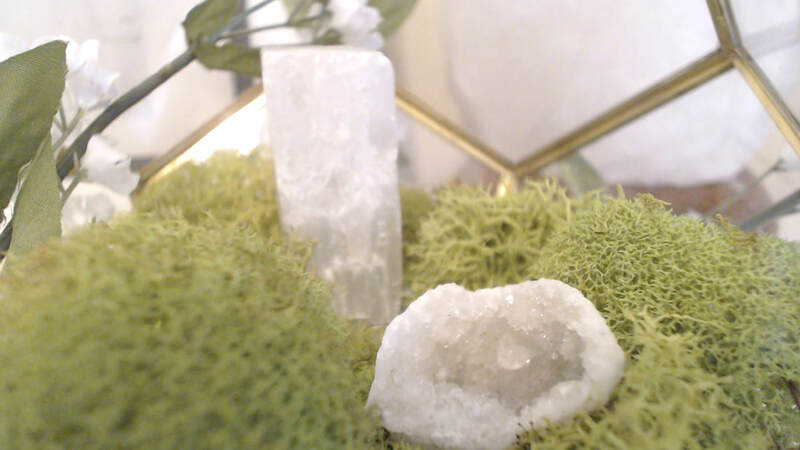 Sit with a Selenite Crystal, which glows like the moon and close your eyes. See what you want to bring forth. Inhale and exhale... feel yourself relaxing, allowing, knowing that what you desire is already yours because you are aware of it. Because you see it and feel it and carry it within you, you have begun to set yourself on the same vibrational wavelength. Listen for the whispers of your Selenite crystal ally. Listen for the whispers of your spiritual guides and angels. Listen with your ears and your heart. Breathe. You are creating it. "I Am..." "I have..." "So be it." Whatever it is, say it aloud... not asking for it, but bringing it forth through the power of your voice. There is no need for anxiety or worry. Allow yourself to feel the joy of having it. If it harms none and brings light to this place, all of creation will assist you. Place 3 drops of rose oil down into the candle's melted wax and anoint yourself with oil also. Enjoy the scent. Allow the candle and incense to burn down naturally. Dance, sing or hum joyously as you sway and watch them burn. Watch as the flame brings light to the darkness, as does the moon. **I like to do this manifestation ritual daily in the morning, building up to the full moon and then with more intensity when it's exact (in this case Oct 5th @ 2:40pm est), then again in the evening when the full moon is visible. You can do a longer or shorter session, incorporating any elements which work for you. 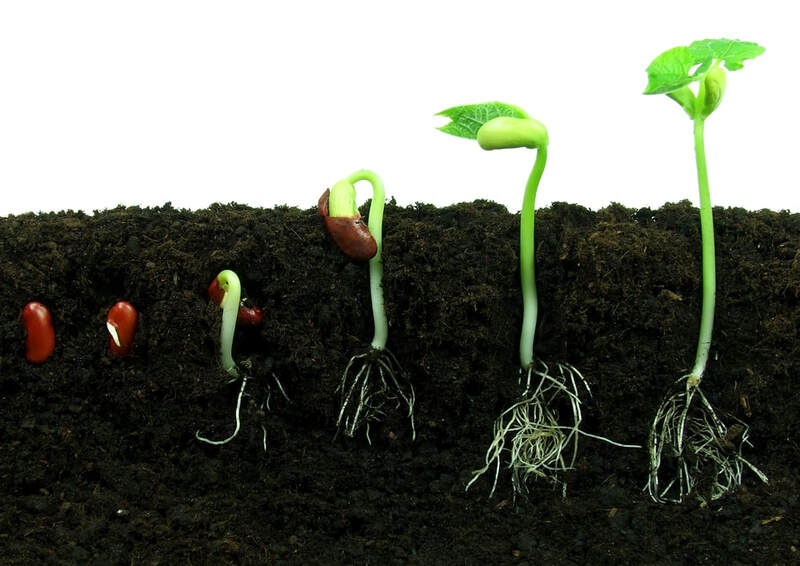 With planting, we do not see the roots grow. We do not worry because of what we cannot yet see. We trust and we allow what we plant to come forth. We water the soil... we clear away the weeds. See what comes forth. See what you've planted. Enjoy your mystic femininity. Enjoy your harvest!